The best way to enjoy a Flannery O’Connor short story is with a lazy afternoon, under a tree perhaps with the buzz of bees in the distance, a thermos of coffee handy, and an abundance of time. 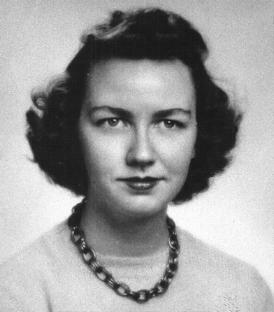 O’Connor’s prose is dense, layered, often ambiguous, rewarding the re-reading of paragraphs or pages, requiring moments sometimes when the reader gazes off into the middle distance to let the words roll around the brain, to allow images to rise and fall, to think things over, to cogitate and wonder. As it is, however, with Everything That Rises Must Converge at the New York Theatre Workshop, the words and action come fast. He who pauses to think things over gets quickly left behind. The method of presentation here is unusual. The stories are not dramatized in the usual sense. They are not adapted; every word of each story is spoken, attributions and narration and all, with the speakers of actual dialogue staying the same in a story, but bits of the rest spread out amongst the entire ensemble. What’s lost is the time for thought, for re-reading; what’s gained is the presence of the living, breathing characters, true to O’Connor’s descriptions of them, and the action, which is sometimes comic, often violent. The ensemble of four men and four women, five white and three African-American, is excellent. Isiah Whitlock, Jr., Michael Moran, Kelli Rae Powell, Ayeje Lavonne Feamster, Laura Hicks, Michael Rogers, John McAdams, and Ledlie Borgerhoff are all powerful actors with impeccable technique, who are clearly devoted to their craft and to the stories. Even in a couple of beautifully handled cross-gender portrayals, O’Connor’s characters come to life on the stage. Under Karin Coonrod’s imaginative and bold direction, each actor finds moments of individual brilliance and the entire ensemble becomes a pulsing, sometimes murmuring part of each story. The first of the three stories is "A View of the Woods," a tale of shifting loyalties, of illusion and reality in the context of a feuding, deeply dysfunctional family. It is followed by "Greenleaf," the story of a woman and a bull and the destiny they share. Both stories are intelligently presented with theatrical power. The story that works best in this style of presentation is "Everything That Rises Must Converge," ranging as it does from comedy based strongly on character and extravagant actions, to a sudden shift into tragedy. It is a simpler story than the others. The most effective feature of the mostly bare stage setting created by Marina Draghici is a quantity of red Georgia earth, used in different ways in each play. During the intervals it is moved about the stage in an almost ritualistic way by stagehands wielding push brooms that are miked so that the rustle of rhythmic sweeping comes to the audience through the theatre’s sound system accompanied by an ominous ticking. P.K.Wish’s costumes are simple and effective. The lighting by Christopher Akerlind is too busy with too many cues that distract from the flow of the action, and puzzling dark spots on the stage through which the actors must move. 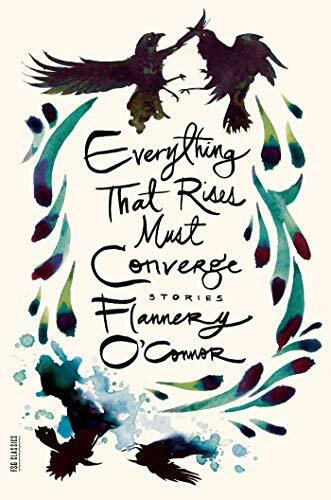 Every lover of the stories of Flannery O’Connor, alas, is sure to miss their own favorite. What about "A Good Man Is Hard To Find"? Or "The Life You Save May Be Your Own"? But the selection of the three plays here is thoughtful and representative. The production, powerful in itself, is sure to send many back to reading the stories.